Extra: Participation fee EUR 250. The participation fee does not include the transportation from Reykjavík to the camp and back. Rebuilding an old rock wall, collecting large stones and adding to the wall. Cleaning caves and maintaining walking paths at Magnahellir and Dimmugljúfur which is a beautiful canyon with hiking trails. Clean the area around Laugavellir which is an impressive geothermal area with a natural pool. Clean a hiking trail on Víknaslóðir, The trails of the Inlets, one of the best hiking areas in Iceland. 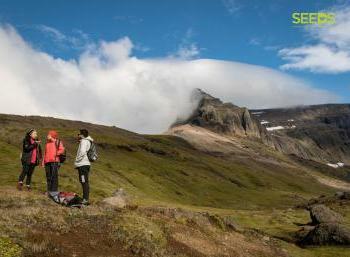 In this project SEEDS volunteers will be mostly doing construction, repair and/or marking off hiking trails and walking paths in the East of Iceland. The main tasks will be to mark and repair walking trails and paths in an isolated area of mountains and fjords. The working area of Hjarðarhagi, Magnahellir and Laugavellir is within driving distance from Egilsstaðir which is the largest city/town in the East of the country. Well maintained paths enable people to visit these amazing areas without damaging them and this important work also helps to improve safety for visitors. Additional tasks may be cleaning or beautifying the area, like hand-picking garbage or collecting trash blown by the wind or brought by the sea to the shores and surrounds. The working day normally runs from 09:00 - 17:00 with breaks for lunch and coffee. No previous experience is necessary but the work is demanding and might require a good physical condition; it can at times be repetitive but always rewarding. As it is outdoors work, volunteers shall be ready to adapt and be flexible with the working and free-time schedule, as depending on the weather, we may not be able to perform some of the tasks or activities planned. The working plan will depend on the needs of our local host, the advance of the diverse projects in the area and of course on the weather conditions. Volunteers need to be motivated to work outdoors on physical jobs and under changeable weather. Bring warm winter clothes, under-layers, waterproofs, walking shoes/boots, a good sleeping bag, hat, scarves and gloves. ACCOMMODATION: SEEDS volunteers will be hosted in a local mountain hut in the municipality, away from the town. Volunteers will sleep on mattresses on the floor in shared rooms. Please bring your own sleeping bag. The house is equipped with a kitchen. Volunteers will share the duties of preparing food, cooking meals and cleaning. There is a shower and remember to bring bathing suit to bath in the natural hot spring. Do not forget some traditional/typical food, drinks, music and recipes from your home country for the international evening. LOCATION: The project is in the municipality of Fljótsdalshérað, East of Iceland in a beautiful area surrounded by magnificent mountains, picturesque fjords and the sea. There are innumerable walking trails through the magnificent landscape of this area, whether over mountain passes, through valleys, or along the seashore. TERMINAL & TRANSPORT: Closest international Airport: Keflavík/Reykjavík (KEF). SEEDS organises a “minibus option”, a shared transport from Reykjavík & back. Apart from being cheaper and convenient, it allows participants to meet and have a relaxed trip, while stopping on the way for interesting sites. The SEEDS minibus will travel one way along the Northern part of the country and the other way along the South coast of Iceland. In this way we will travel the whole ring road and stop at magnificent natural sights, including waterfalls, glaciers, volcano craters, hot springs, iceberg lagoons, black sand beaches, etc. Departure will be at 7:00 am of June 28 from SEEDS office. Return to Reykjavík in the late evening of July 12. 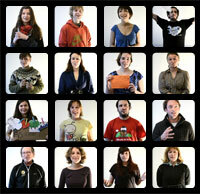 EXTRAS / SPECIAL REMARKS: Participation fee EUR 250 (Euros). Please note that the fee can either be transferred in advance via bank transfer, or paid for on arrival. The participation fee does not include the transportation from Reykjavík to the camp and back but we estimate the costs about EUR 75 each way. This work camp takes place in a very remote place, located in a natural area of extreme beauty. Outdoor free time activities, for instance hikes or walks in the surroundings, will be arranged for SEEDS volunteers. Our hosts will organise some free time activities and the group will get the opportunity to bathe in the natural hot springs at Laugarvalladalur.